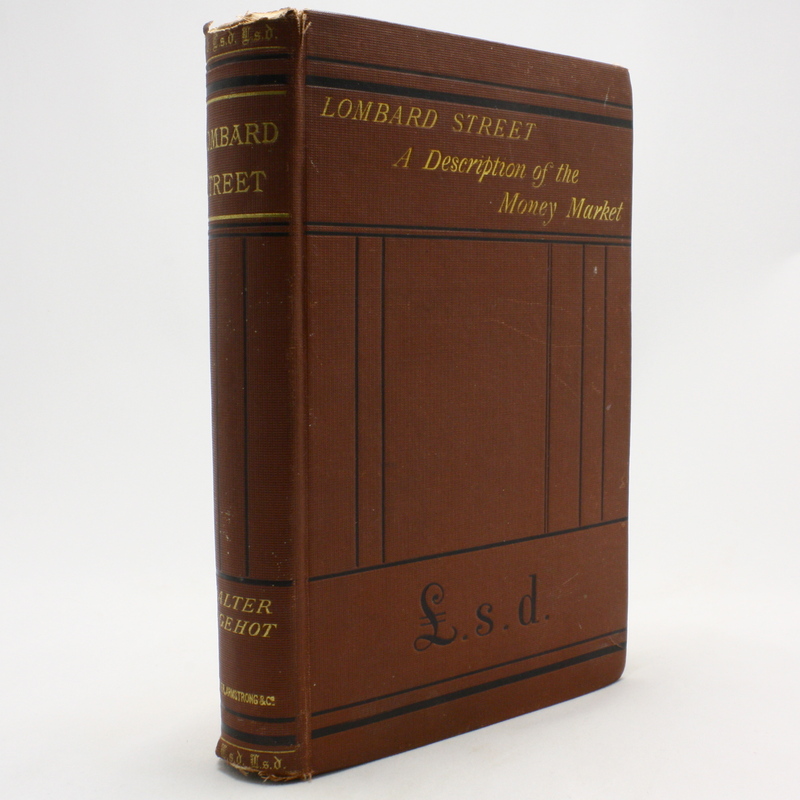 Lombard Street: A Description of the Money Market - IFA Vintage and Current Book Library - Index Fund Advisors, Inc. Publisher: Scribner, Armstrong & Co.
Notes: Lombard Street is London's equivalent to Wall Street in the United States. Walter Bagehot was a 19th century journalist and economist who wrote about economics and government. The eleven essays in Lombard Street give advice on finances and banking. Although his perspective is that of the 19th century his knowledge and advice still hold true today. This is a must read for students of banking history.